A bestselling American fantasy writer, Victoria (V.E.) 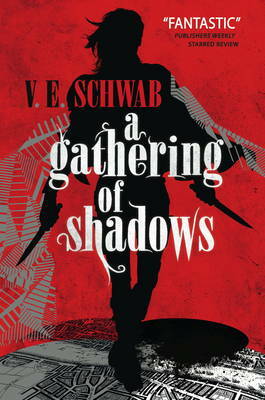 Schwab is the author of the Shades of Magic series, the Villains series, The Near Witch (for YA readers) and the City of Ghosts series (for middle grade readers). This was one of my most hotly anticipated releases of 2016. I absolutely loved A Darker Shade of Magic and had high expectations for this book. It certainly did not disappoint.